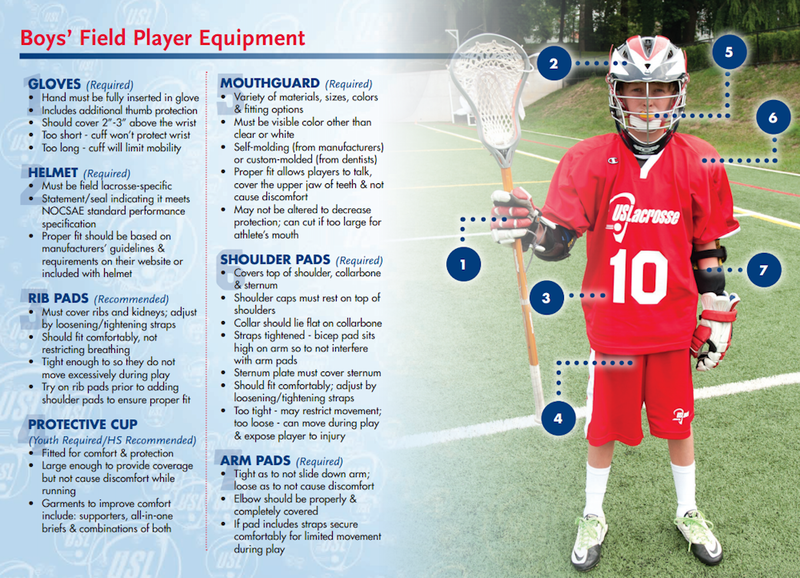 Lacrosse equipment is highly customizable and subject to personal preference. Here is a nice basic guide that does a nice job listing various pieces of equipment with relevant details: http://www.sportstop.com/lax-guide . Rubber sole cleats (soccer or football cleats are fine), turf shoes optional for indoor.